Gator Weave Outdoor Patio Furniture Covers are made with exclusive "Gator Weave" fabric, which is water-resistant and UV treated to withstand any weather conditions. 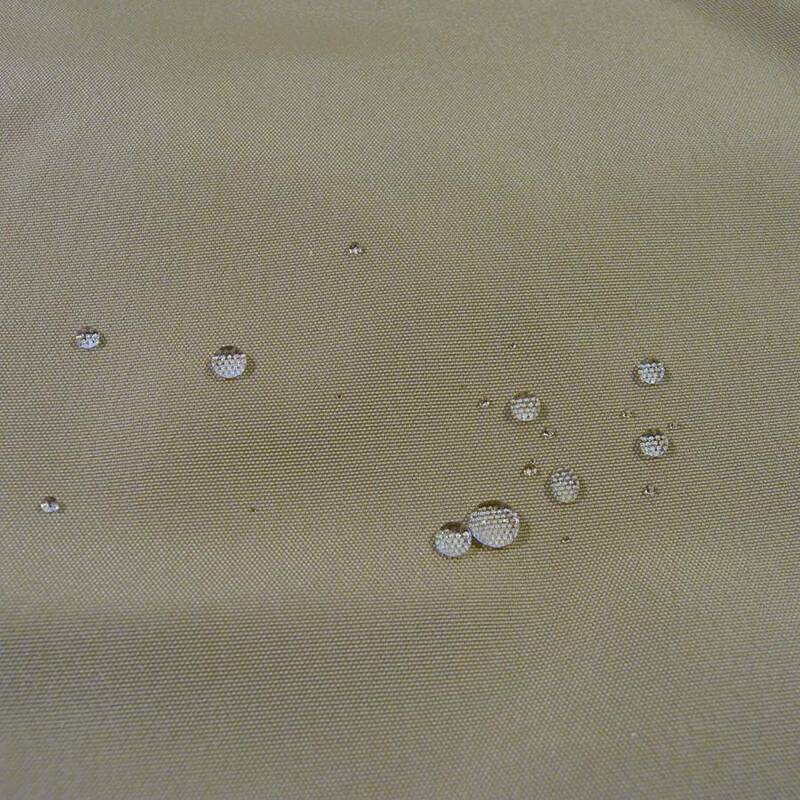 This durable fabric is also breathable, which reduces condensation build up between the cover and your furniture. Gator-Weave fabric will not crack or peel, unlike many of the standard-variety vinyl covers on the market. 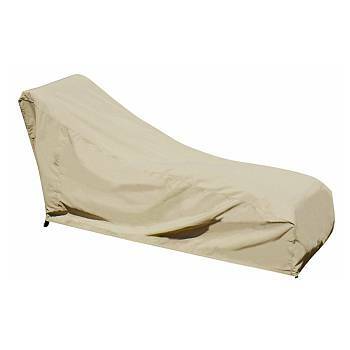 Because the covers are soft, you won't have to worry about your patio furniture and accessories being scratched. 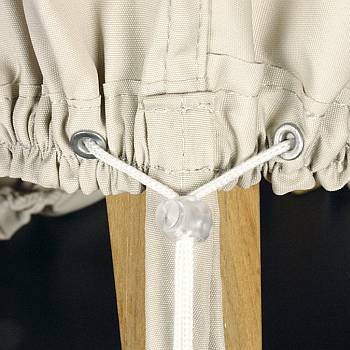 These covers also feature a locking, spring-loaded cinch that provides a secure fit for added protection (not available with umbrella cover). 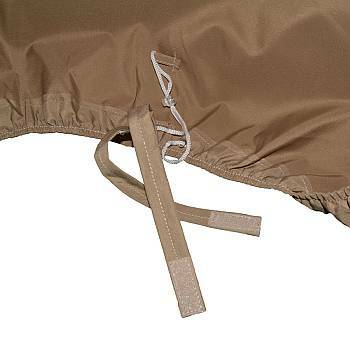 Gator Weave's Champagne (light beige) colored fabric complements any outdoor decor. 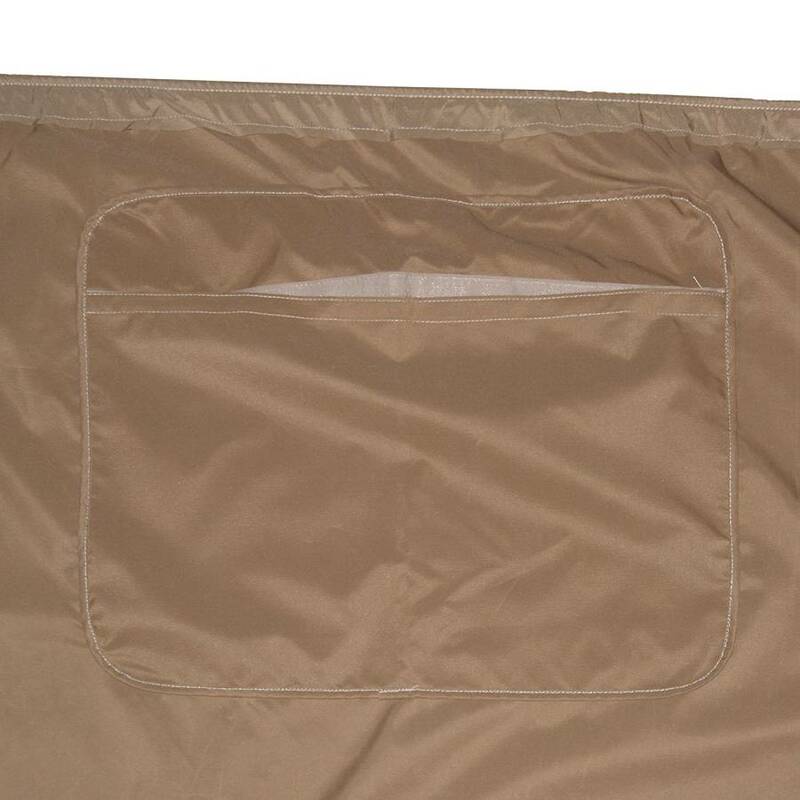 The covers are easy to clean and will not stain, soil, soak, or corrode. For added convenience, all Gator Weave covers come with their own built-in pouch for easy storage. For an effective and affordable way to protect your outdoor patio furniture and accessories year round, Gator Weave Covers are a perfect choice. Rugged 8 oz. Gator Weave is both rugged and water resistant. 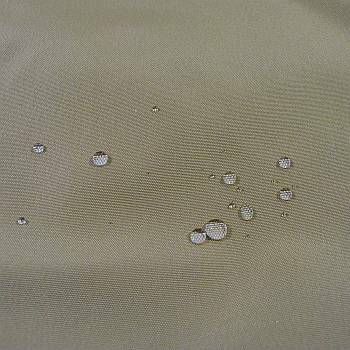 Gator Weave fabric is soft and fits securely on your patio furniture and umbrellas. 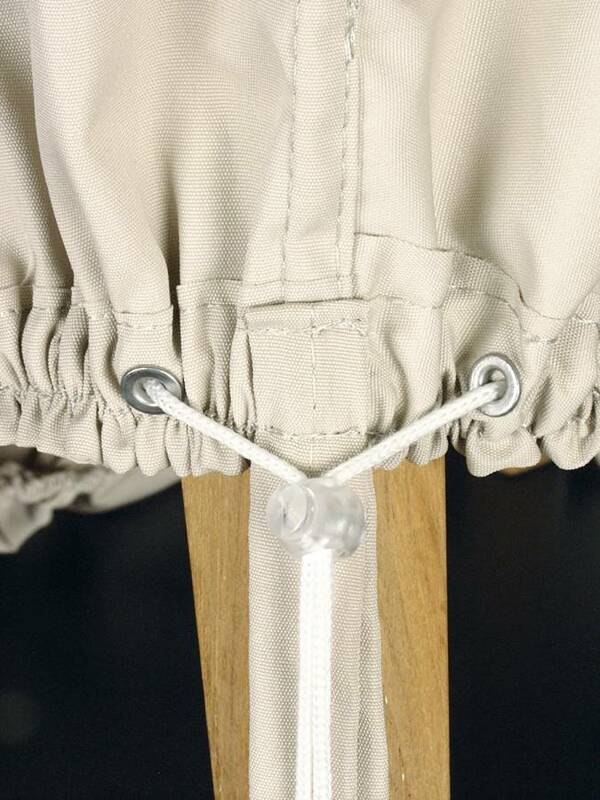 Spring-cinch cord secures covers on furniture (not available with umbrella covers). 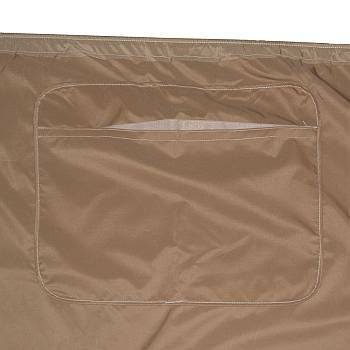 All Gator Weave covers have attached pouch for easy storage.